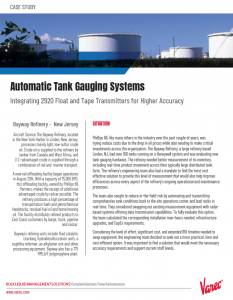 The 8220 Data Capture Unit (DCU) is an electronic fueling data acquisition, monitoring and automation device for use on fueling equipment, such as fuel trucks or hydrant carts. 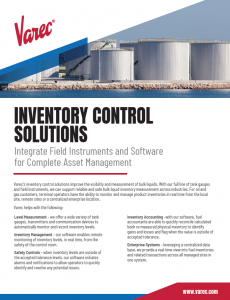 It connects to devices, such as flow meters or fueling interlocks, to assist with transaction validation, automate actions or identify maintenance requirements. The 8220 DCU automatically collects metered fuel volumes and fuel temperatures for real-time fuel transaction management. It supplies fuel meter register data for accurate fuel inventory reconciliation on a daily basis. The 8220 DCU is mounted on a fueling vehicle and is connected to third-party pulse transmitters and an IntoPlane client PC. It provides meter value data upon request to the PC via an RS-232 connection. FuelsManager uses this data to show the total volume pumped. 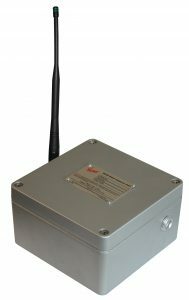 To support wireless wireless, the 8220 DCU is equipped with a miniature radio transceiver and antenna, which allows it to receive commands from and provide status information to a remote computer without a wired RS-232 connection. corrected fuel volumes. This feature allows FuelsManager® to accurately compare net fuel volumes issued against physical inventories when accounting for gain/loss, which may result in a reduction of your monthly gain/loss totals. The 8220 DCU’s own power output terminals provide constant or on-demand power for up to two pulse transmitters or other external devices. A low cost, low power solar solution can be easily retrofitted to any hydrant cart that is unpowered. 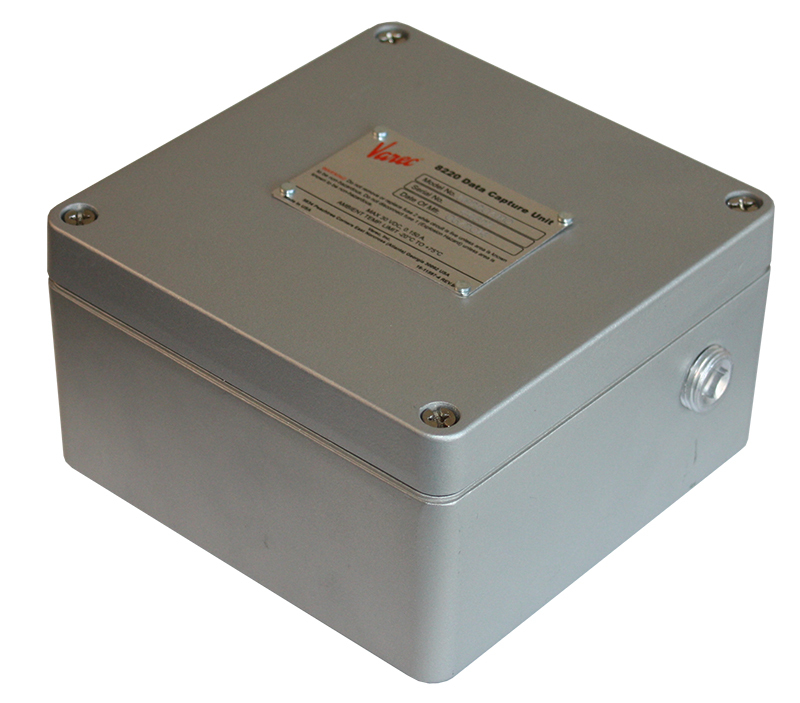 The die-cast aluminum housing carries a NEMA 4 classification, while the electronics are rated for use in extreme temperatures of -4 °F to +185 °F (-20 °C to + 85 °C) – a combination that makes the unit suitable for use in harsh environments. The wired option is approved use in class 1, division 1 hazardous environments. 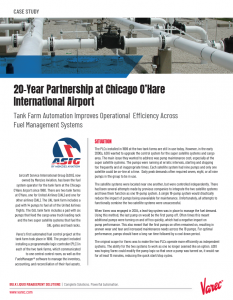 This brochure outlines the offerings available under our Aviation solution.